The footswitch (not shown here) plugs into the scoket on the back right underneath the Music 4000 label. The Music 4000 connects to the BBC Microcomputer's User port. The footswitch (not shown here) plugs into the socket on the back of the Music 4000. In October 1987 Acorn User published a review titled "Music at the touch of a key ". A useful website is Colin Frazer's Hybrid Music System , which has lots of details including disc images and documentation. Here is the Hybrid Music 4000 User Guide . 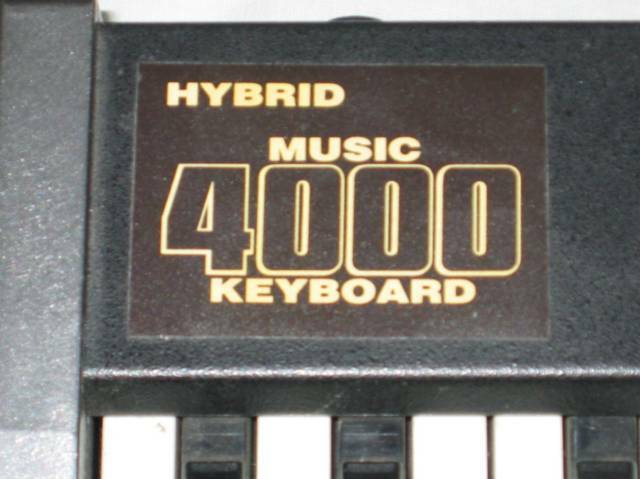 Here is the Hybrid Music 4000 Installation Guide .